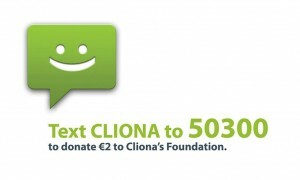 Keith Duffy has chosen Cliona’s Foundation as one of the lucky beneficiaries of his first Keith Duffy Foundation Ball in Limerick! We are thrilled and very excited, it promises to be like no ball held in Limerick before. The line up for the night includes music by the world renowned Cole Page, exclusive auction, huge raffle, spot prizes, special guest appearances, processco reception and more. Tickets are selling fast so make sure to book yours now from Brendan, 087 251 8949 or emailing [email protected] Tickets are €100pp or €1000 for a table. 8pm March 26th at Limerick Strand Hotel, put it in the diary!